How's that for some alliteration? Whatup Season 3 dueting with Season 5! This totally made my night. 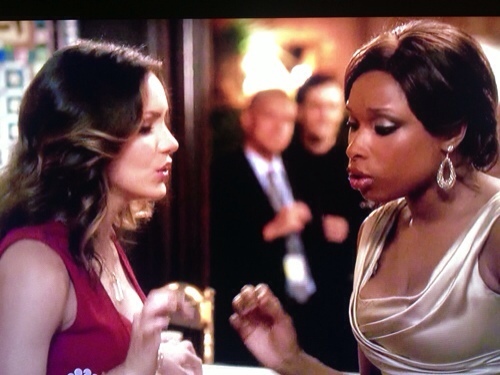 And in case you have been living under a rock, this is on Smash on NBC. Seriously, people, the best show on tv–program your DVRs accordingly. In the meantime, know I am combing through the auditions and thoroughly looking forward to my favorite week of the Idol season: Hollywood Week! Unnecessary drama, sleep deprivation, and awkward group songs…bring it on.